Cardiorespiratory arrest is the main cause of death in Spain and the rest of Europe. 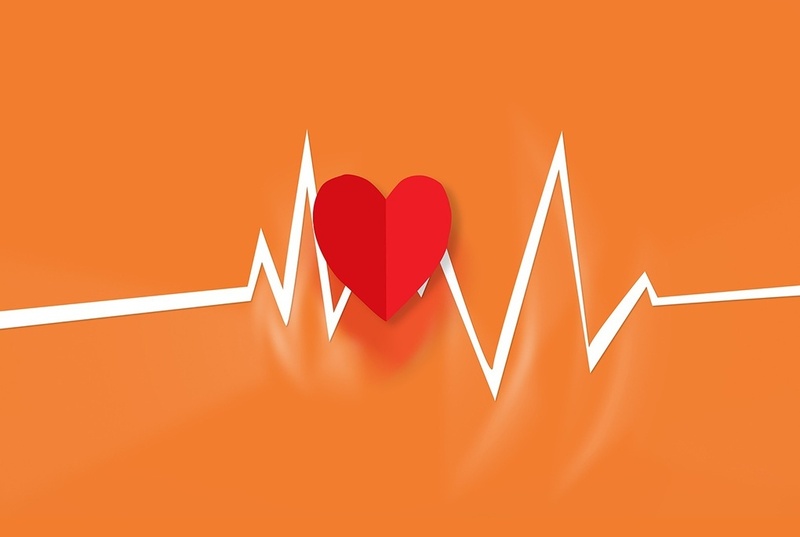 Concern for the wellness and health of those who choose to stay at Hotels VIVA encouraged us to ensure our spaces were cardiac-healthy and cardio protected in 2011. Speed is critical when it comes to resuscitating a patient in cardiorespiratory arrest, that’s why we decided to install semi-automatic defibrillators in our hotels and train our members of staff. These facilities are conveniently located and signposted in the hotel reception, a common space for both staff and guests, as well as being close to a telephone which can be used to contact the emergency services immediately. In our VIVA BLUE hotel, there is also a second defibrillator which is located in the cycling centre, where there are always large groups of sportspeople. There are eight of these packs installed in the hotels and one more located in the Alcudia central offices, have been registered with the Les Illes Balears Health Service, which means that they can also be used in our hotels. We can attend any emergency which occurs on the premises. In addition to having access to the defibrillator, another key part of providing aid to someone suffering a cardiorespiratory arrest is the team which attends the emergency – they should be trained in order to act both quickly and professionally. More than 40 members of staff at Hotels VIVA have been appropriately trained in Cardiopulmonary Resuscitation (CPR). This includes all our Hotel Managers, who have the highest level of responsibility in the establishment. During this 2018 season, the defibrillators have been tested and our staff have reacted appropriately. 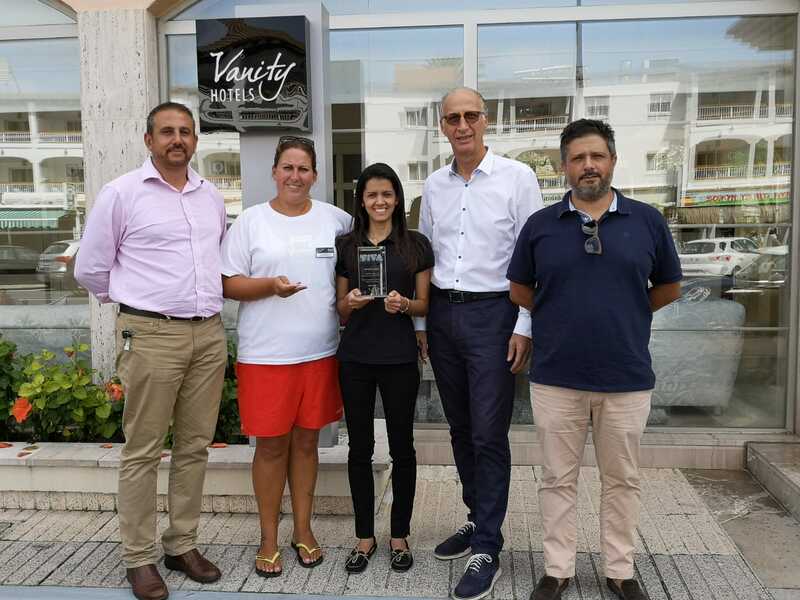 The first time at Hotel Vanity Golf by VIVA, the emergency was resolved thanks to waitress Luana Celia Ribeiro and lifeguard Verónica Sanz MC Carron from the company ISE Balear. The rest of the Vanity Golf team helped to control the situation which really made a difference. 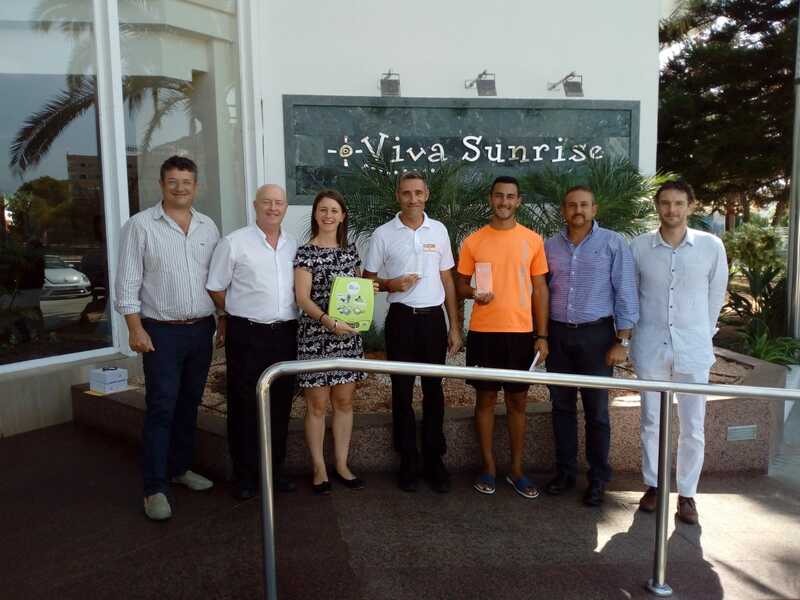 The second time of the season took place at Hotel VIVA Sunrise, where a life was saved thanks to our team and the defibrillator. Waiter Antonio Gutiérrez and lifeguard Ramón Nieves from Salvamento Aquàtic resolved the emergency with support from the other hotel staff. We want to reaffirm our commitment to cardiac health, a commitment which saves lives. We have received many thank you and congratulations messages from the affected people and medical services, which have all made us feel proud of our team. We will all continue working to guarantee a cardio protected environment at our hotels.